I’m excited to share one of the most fun projects I ever worked on, The Vintage Typewriter pocket planner from Galison. …the cover and endpaper illustrations of the typewriter, quill pen and bottle of ink, skeleton keys. 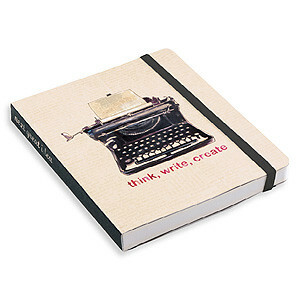 We’ve applied some of our own favorite mantras of “think, write, create” under the vintage typewriter on the cover, “create every day” on the endpaper, and “next great idea” label on the black spine. The checklists and pages inside are neat and organized, but with a handmade feel. More whimsical illustrations include a townie bike with a basket filled with flowers, vintage cameras, compasses, a violin, books, artist’s paintbrushes…well, you’ll have to discover more yourself while you’re getting organized! 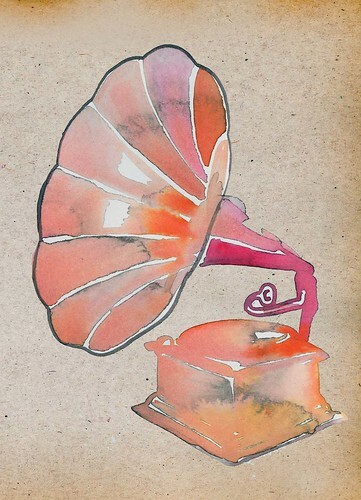 I wish I could show you every illustration and word but that would ruin it for you if you plan to pick one up. It will be so useful to have a pocket sized planner with me on the subway! Would be a great stocking stuffer too. For a peek at a few more images from inside the book, check out my flickr stream. And check out this mini journal! fixed the link. thanks susan. 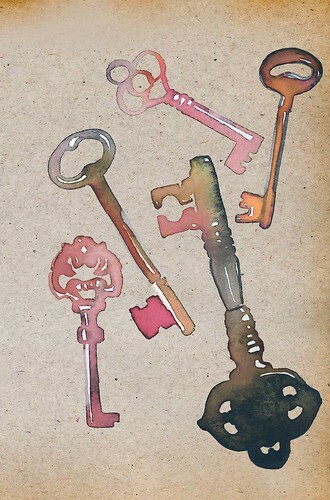 Love the illos, especially the keys! Pretty! Oh wow, buying this right away was a no-brainer… Question: Do you think the suitcases illustration (seen on your Flickr stream) will ever be for sale as a print? I absolutely LOVE it! I especially love the keys. I just bought this little planner and I love it! oh yay, so happy to hear that! Hope you enjoy using it. xo.